Who says keeping up on a healthy diet involves just good foods and herbs? We know all too well it doesn’t begin and end with just food itself—though the more whole (and in season) any food, herb, or ingredient is, the more nutrient dense and better it is for health. But ultimately, what makes these foods so healthy comes down to nutrients. We may be more familiar with nutrients like vitamins, minerals, and macronutrients such as protein, sugar, and carbohydrates. But there are lots more nutrients we need and use to amplify our states of wellness—and some of the most overlooked nutrients are amino acids. It’s true that amino acids are found in protein. Any type of protein found in the diet, whether it be from plants, animals, or edible culinary mushrooms, is made up of complex chains containing a wide variety of these healthy molecules. But not all foods contain substantial amounts of specific amino acids found to be important, impactful, and even therapeutic for health to a great extent. This especially applies to a certain amino acid called l-tryptophan, which is linked to helping to improve mood and nervous system function. It is found in some amounts in various foods, but not in high enough amounts for people to fully experience the benefits it may have—one would have to eat quite a bit of specific foods to find them. For this reason, this is why amino acids like l-tryptophan are often found in concentrated supplement form. Many studies have been done on l-tryptophan, its role in the body, how it supports optimal health, and what increasing its intake might do. More specifically, there are lots of studies on and promise in boosting l-tryptophan for health benefits. And there are certainly quite a few of these above benefits. Below are some of the most highlighted benefits found in research today, and which can be optimized and experienced best with the help of a pure, concentrated l-tryptophan extract or supplement. One of the greatest findings in science concerning l-tryptophan: it’s a serotonin precursor. This means it’s very important to many processes in our bodies. It’s notably important to the production of serotonin, which is a neurotransmitter. So, in order to create serotonin in the body (most particularly the brain, where it is needed most), l-tryptophan is required. If amounts of this amino acid are low, then it’s likely serotonin is low as well, as recent research shows. It’s no coincidence that a huge number of drugs designed to lift mood and relieve stress are based on how our bodies produce or transmit serotonin. Serotonin has tremendous implications for positive moods, more than any other neurotransmitter that has been researched. Though research is limited, studies suggest l-tryptophan may be key to helping boost serotonin naturally and more effectively than certain other amino acids. Use of l-tryptophan has also had better evidence of lifting or altering depressed moods in many different depression states, whether mild or clinical. More studies are needed to fully prove this, however. Recent studies are also clarifying that low l-tryptophan levels play some role in depression, and which are even likely to be found in people with clinical depression. It’s still not clear if this is causal, correlated, or both. Meaning: it’s unclear if boosting l-tryptophan levels helps depression or if depression lowers them, and that’s that. Still, accepted practices for helping depression as far back as 1999 acknowledged l-tryptophan as depression therapy. All the same, this has intrigued enough for researchers to seek solid answers—such as in this study, which proved l-tryptophan improved both depression AND anxiety in test subjects. Serotonin is integral to happy moods and banishing depression, but also has a part to play in anxiety. Naturally, this means l-tryptophan stakes its claim in naturally helping anxiety, too. As noted above, the same study showing l-tryptophan improves depression showed anxiety improvement as well. What’s more, another study showed a possibility that serotonin levels—by means of l-tryptophan levels—was an important component in anxiety spectrum disorders, particularly obsessive-compulsive disorder (OCD). Though more research is needed, it’s apparent enough that l-tryptophan is important to serotonin health, and thus mood, depression, anxiety, and quite possibly neurological health altogether. 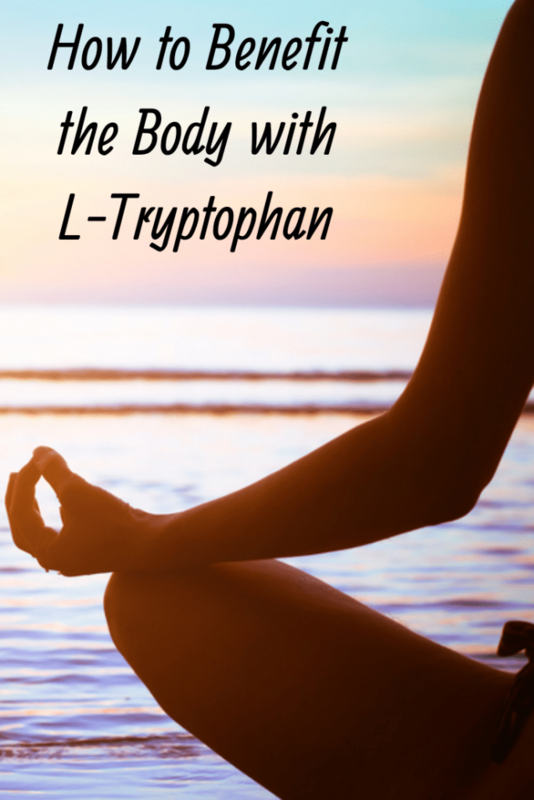 Turns out serotonin isn’t the only thing in the body l-tryptophan is valuable to. Melatonin, a hormone that governs sleep, circadian rhythms, and more, also needs adequate levels of l-tryptophan to be produced. Melatonin in and of itself is also a popular health supplement. For people seeking out the health benefits of melatonin, it’s more than a possibility that l-tryptophan is a great support supplement to take right along with it in order to amplify both melatonin’s levels and potential. It proved to do just that in this study, which showed improvement in sleep quality with age via boosting melatonin. The biggest role melatonin plays for our health? Improving the quality of sleep. Some studies, such as this one on the sleep patterns of athletes, recommend low doses of l-tryptophan supplements to induce further production of melatonin to thus promote better sleep. Of note too, a review of l-tryptophan acknowledged some sleep-inducing benefits of the amino acid, which were comparable even to a mild sedative. We all know how momentous and foundational good sleep can be for health. 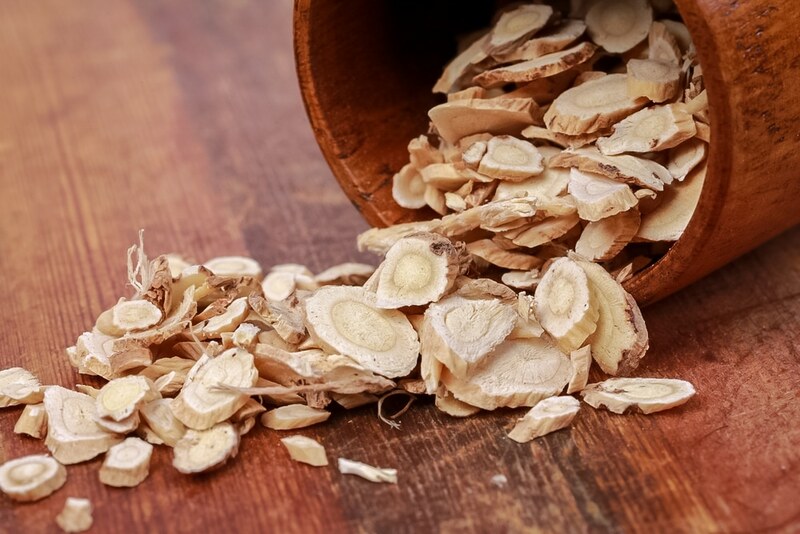 By boosting better sleep patterns, l-tryptophan may help nip other issues in the bud, such as sleep disorders, immune issues, and fibromyalgia. Taken all together, one can see a major trend in l-tryptophan benefits: the amino acid may be a neuroprotector. It helps improve the nervous system, neuron health, brain function, and nerve health all over the body in its many different forms. But for those not facing stress, depression, anxiety, or sleep disorders, there could still be something worthwhile. This applies to everyday brain health and functions, including issues with memory or even brain fog. One study has even proved that l-tryptophan depletion is the cause for memory issues in test subjects, meaning that higher levels could help improve memory problems. Benefits to the nervous system translate into benefits on a neurological level. Does this mean that l-tryptophan could benefit neurological disorders? Studies suggest this to be so. A study here and here each separately showed evidence that l-tryptophan could have therapeutic benefits for ADHD and autism, though more studies were needed to conclude those claims. On the other hand, a major review of l-tryptophan and its role in health highlighted beneficial impacts on other neurological or psychiatric disorders, like schizophrenia, eating disorders (like anorexia and bulimia), and more, though more studies will be needed to fully support this idea. 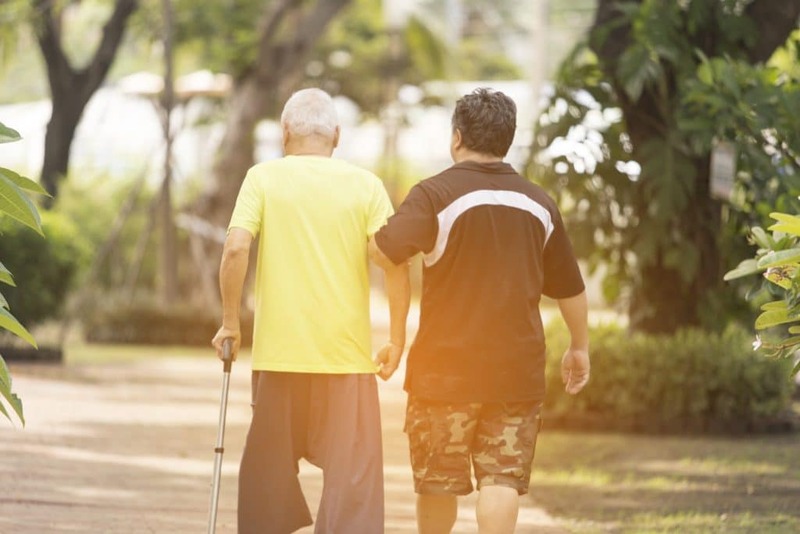 Neurological health has a huge overlap with aging (and doing so gracefully). As we get older, cognitive functions decline—and in some, faster than others. Sometimes this is severe and abnormal enough to be called a disorder. Alzheimer’s and Parkinson’s diseases are the most prominent of these, which involve greatly exaggerated symptoms of memory loss, cognitive decline, and nervous motor function. On the bright side, studies show there’s hope that l-tryptophan could help these neurological issues, too. In one study, tryptophan appeared to support cellular pathways in test subjects which reduced age-related cognitive decline, Alzheimer’s risk, and more. Some of the most intriguing research on l-tryptophan to date is all about how it supports the immune system naturally. But how is this possible? 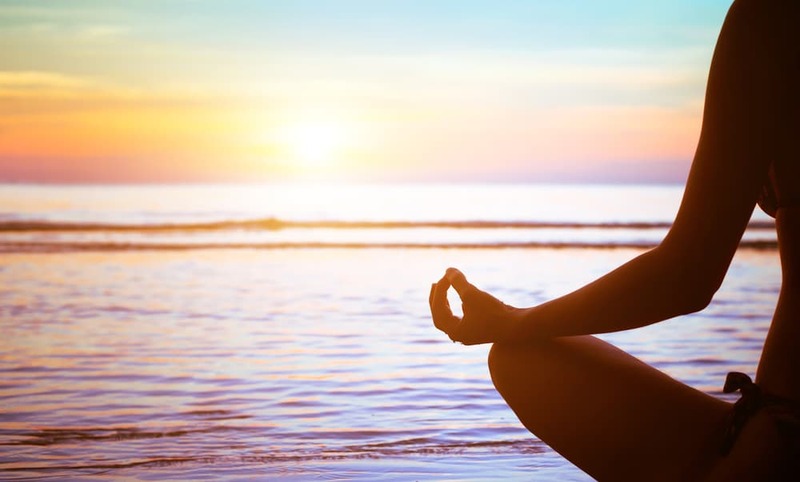 According to a major review, the amino acid may be an important link between stress and immunity—more particularly, it could be vital to the reason why people who are stressed experience depleted immune systems. Researchers theorize that chronic inflammation caused by stress depletes l-tryptophan, and thus serotonin and melatonin, too. The review even cited a study where l-tryptophan literally enhanced immunity, which opens a huge door the amino acid’s possible future as immune therapy. Branching out from what science has shown about this nutrient and immunity, there is also some potential for type 2 diabetes support and treatment, too. Technically, diabetes is an autoimmune disorder stemming from out-of-control inflammation caused by immune dysfunction. 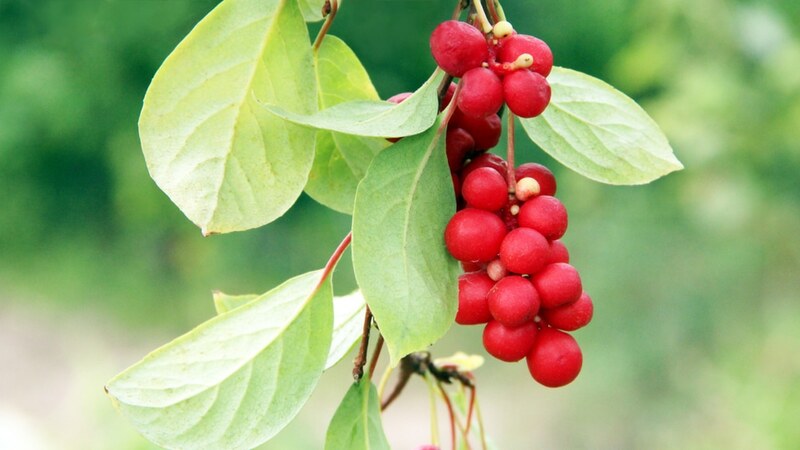 L-tryptophan may be able to step in and help by modulating inflammation, thus reducing diabetic symptoms. One study showed it could help reduce insulin resistance and keep blood sugars low in a natural way, thus reducing risk and supporting those who already have it at the same time. Still, lots more studies are needed before calling l-tryptophan a diabetes treatment or remedy. One recent study on l-tryptophan and its possible interactions with diabetes yielded some fascinating results, particularly when it comes to overall metabolism. In the double-blind, placebo-controlled trial, perfectly healthy men were given shots of l-tryptophan into their digestive systems. The results not only showed a lowering of all health parameters that could lead to diabetes but also reduced the amount of energy the body consumed. It’s not improbable that those who take l-tryptophan over the long-term may experience more satisfying energy levels over time, simply as a result of a healthier, more harmonious metabolism, though research needs to explore this. The connection here is clear: better metabolism often means healthier, more average weight, whatever that may mean depending on the individual. L-tryptophan’s healing effects on metabolism could thus make it one of many natural ways to manage a healthy weight. One study also established a connection between l-tryptophan and drivers of obesity, as well as obesity-caused diseases. The amino acid might even help ameliorate inflammation produced by individuals with obesity leading to other issues, like digestive disorders, heart disease, and metabolic disorders like type 2 diabetes. That’s not to say l-tryptophan is a “weight loss supplement”— far from it. Rather, the amino acid supplement could be a great addition to diets, plans, or other weight loss goals, giving people just one more push along with many other weight loss-supporting foods, habits, and more to go that extra mile. Research around l-tryptophan is so exciting we couldn’t resist adding it to our calming herbal blend Tranquil Mind.